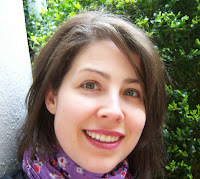 Today I'm thrilled to be welcoming debut author Heather Day Gilbert to my blog. Heather is here to talk about historical research and some interesting facts about Vikings! 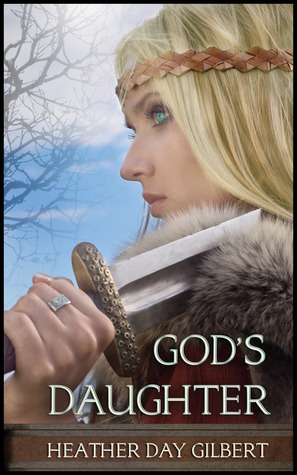 Her debut novel, God's Daughter, is the first in the Vikings of the New World Saga. Heather's guest post is the sixth in a six week author spotlight series I'm doing here. Week one I hosted author Jody Hedlund, week two I hosted author Laura Frantz, week three I hosted author Wendy Paine Miller, week four I hosted author Melissa Tagg, and week five I hosted author Joanne Bischof. This is the final week in this series. Be sure to look at the bottom of this post and I'll tell you how you can win a fun gift basket from these six authors! Since Gabrielle is also a historical writer, I wanted to chat about research today. What inspires an author to write a historical? Do they fall in love with the time period first? Or perhaps the characters? I think it depends. For me, it was both, but primarily a character that inspired my Viking novel, God's Daughter. Being of Viking heritage, quite a few years ago, I bought myself a copy of the massive tome, The Sagas of Icelanders. Since I'm supposedly related to Eirik the Red's son Thorvald, naturally I busied myself with reading everything I could about the dude. Turns out, he died of a native (Skraeling) arrow in the new world--North America. And yet, another member of Eirik the Red's family began to fascinate me. Gudrid...a woman who was married three times, while still young...beautiful, wise, and from all accounts, a Christian. She also traveled to the New World and even had a baby here! I couldn't get enough of her story. And then the sagas introduced me to Freydis, Gudrid's sister-in-law, who was about as wild and unpredictable as Gudrid was kind and beautiful. Freydis will be the main character in my second novel, Forest Child. I started a story, based on a slave character I invented, who would wind up with Eirik's family. But my husband asked why I didn't just write about Gudrid herself, one of the better-known Viking women (for those interested in Viking lore). I took a deep breath. Then I started writing. The story flowed. And yet, I had to check my saga accounts continually. With historical fiction based on a real person, it's tricky getting your historical storyline and your fictional storyline to mesh. And since the sagas overlapped and had timeline discrepancies, I had a major task ahead of me. I also referred to the Old Norse dictionary throughout the writing process. Talk about slowing a writer down...checking your adjectives, nouns, and verbs against a limited dictionary equals lots of extra time. But in the end, I was able to incorporate a few words I figured the Vikings had words for, even if they weren't in my dictionary, as long as they didn't shout anachronism. I sort of bent the historical fiction rules (especially for Medieval fiction), by writing in first person present tense. I loved Tracy Chevalier's Girl with the Pearl Earring (first person past), and I wanted to capture that immediacy of being in my main character's head...walking through these situations with her. I've vlogged here about how difficult it was to get my beloved time period published within the CBA, even though it was out over a year on submission. In the end, God seemed to open the door for me to self-publish my novel. Just like that, I became a hybrid author--represented by my agent for my Contemporary Appalachian Mystery novel, and yet self-publishing my Viking novel in the meantime. November first of this year, God's Daughter, the fruit of years of hard work, will be available on Amazon. It's been a long journey and it hasn't turned out the way I planned, but I'm more excited than I ever dreamed I could be. After years of buried hopes of getting traditionally published, I can finally anticipate getting my novel--which deals with heavy, yet important themes like depression, paganism vs Christianity, and emotional infidelity in marriage--into my readers' hands. Historical research can be a bear, but I think we usually do it because we love something or someone in the time period we're writing about. That passion will spill over into your novel. Stick with it...more than ever before, there are many avenues for authors to get their books out there! Heather has graciously agreed to give away a copy of her debut novel, God's Daughter, to one reader who comments on this post between now and Tuesday, November 5th at 11:59 p.m. (CST). Please include your email address. A QUESTION FOR MY BLOG READERS: Do you know anything about Viking history? Do you have any questions for Heather? Congratulations, Linda. I'll be contacting you soon! 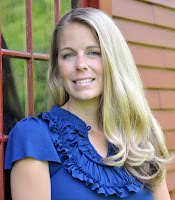 Author Bio: Heather enjoys writing stories about authentic, believable marriages. Sixteen years of marriage to her sweet Yankee husband have given her some perspective, as well as ten years spent homeschooling her three children. Heather is the ACFW West Virginia Area Coordinator. You can find Heather at her website, Heather Day Gilbert--Author, and at her Facebook Author Page, as well as Twitter, Pinterest, YouTube, and Goodreads. Look for her Viking novel, God's Daughter, coming to Amazon November 1, 2013! Over the course of the last six weeks I hosted six authors on my blog. Each author agreed to offer a free copy of their newest release, as well as an item for a grand prize drawing at the end of the six weeks! To be entered to win a free copy of each book, all you had to do was visit my blog weekly (beginning September 25th) and comment on each author's post. A random winner was chosen each week--one will be chosen this week. To be entered to win the grand prize, visit my Rafflecopter below and follow the instructions. I'll announce the winner of the Grand Prize next Wednesday, November 6th! Joanne's guest post is the fifth in a six week author spotlight series I'm doing here. Week one I hosted author Jody Hedlund, week two I hosted author Laura Frantz, week three I hosted author Wendy Paine Miller, and week four I hosted author Melissa Tagg. Check back here next Wednesday for the last author in this series. At the bottom of this post I'll tell you how you can win a fun gift basket from these six authors! 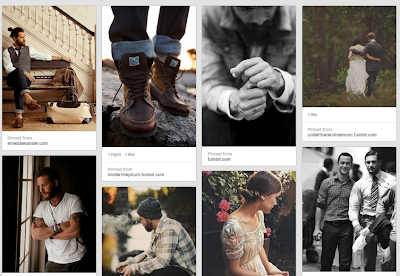 As a writer, I love Pinterest. As a mom, I love Pinterest. As a fan of double-fudge peanut butter brownies…well you get the pattern! 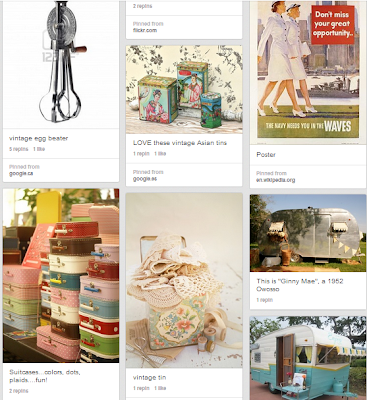 Pinterest has only been around for a few years, but it’s a great resource. Handy for life, and as a writer, handy in the world of story building. For readers and writers alike, this online pin board has been bridging the gap between words on the page, and the visuals that can often inspire them. For characters, I pin to a board called that magic something. I don’t entirely know what that means, but it’s just that: that thing we can’t quite put our finger on, those quirks and appeals that make someone an intriguing character for a book. All character boards are different, mainly depending on the setting and time period and the author’s preferences. 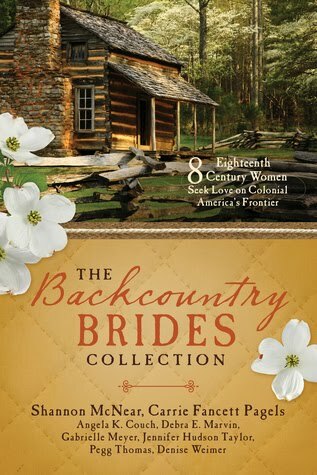 As a writer of Appalachian romance, I’m often drawn to people who aren’t buttoned too high and tight and have a bit of rustic edge to them. It fits well with my genre and the people of the mountains I love to write about. One of the great things about character boards is following those of other writers! There are a ton of great ones out there and one of my favorites is that by Laura Frantz, called novel faces. Positively delightful! She captures a great human emotion and intrigue in a way that we can see deeper into the stories she has written, all the while yearning for more. I confess, as an Appalachian writer, I don’t have a dress board, mainly because with my period and region, dress was usually pretty simple. Homespun, affordable and frugal, dresses and shirts were rarely fashionable and often used until they were too threadbare to make it another day, then cut up for a quilt or curtains. But there are writers out there with genres that have exquisite history dress. 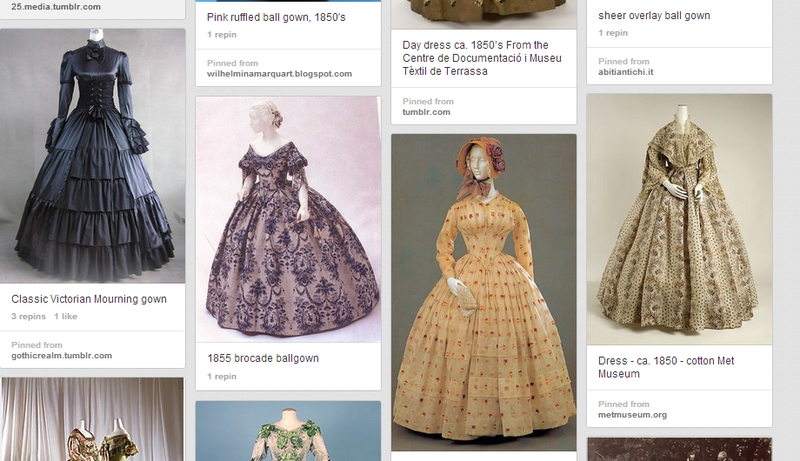 Whether it’s the Civil War era or Edwardian England, there are some phenomenal boards that capture the costumes and dress of a time period. Some of these pin boards are Gabrielle’s very own! Her 1850’s board is chockfull of stunning gowns and accessories that would not only help her pay close attention to the fashions in her writing, but must be incredibly inspiring for her as she’s in the decision stage of what a character would wear for a particular scene or event. I’m always amazed by boards like these and the rich attention to detail that they represent. My main setting board is called the spirit of Appalachia. I’ve been pinning there for nearly two years and it’s really just a gathering of inspirational images that remind me of Appalachia: the mountains, the people, animals, farms and on. Images that either remind me of actual scenes from my books, or could serve as potential inspiration for future scenes. In addition, setting boards are great for writer’s block! When I was working on Though My Heart is Torn, the second book in the Cadence of Grace series, I knew the story needed something. My editing deadline was coming to an end, and I just couldn’t put my finger on what was missing within the story. I may have panicked and whipped up a batch of brownies (for moral support, of course). Then… knowing that the writer’s block had to be conquered, I poked around in my setting board for a while and stumbled upon a picture of an old white church on a foggy day. It sparked something in my mind, the root of a scene that ended up being the entire chapter 56 from the book. Surprisingly, it became one of my favorite scenes in the entire story. If you’ve read the scene of Gideon in the churchyard, you’ll probably recognize that picture! 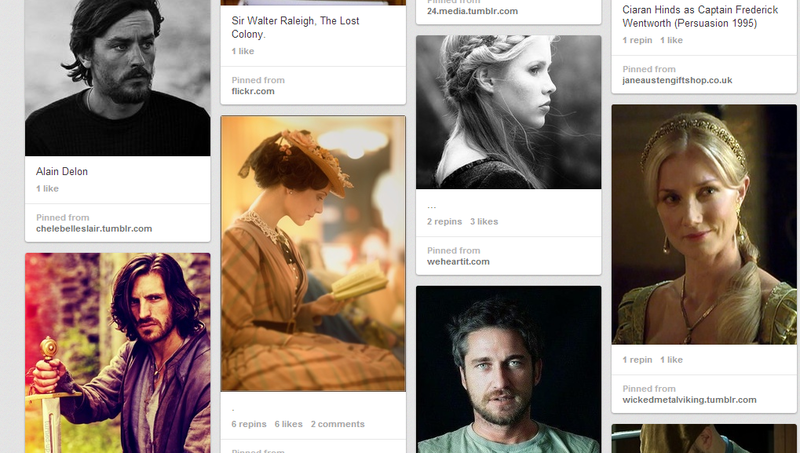 QUESTIONS FOR MY BLOG READERS: As a reader, do Pinterest boards give you a richer experience of the story? 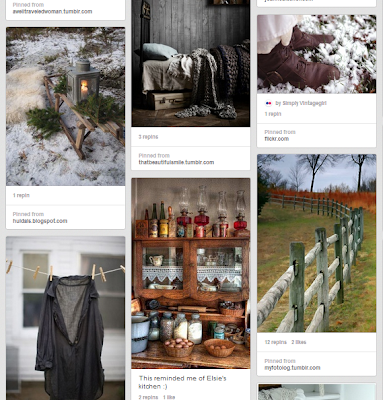 As a writer, in what ways do you use Pinterest for your story building? Gabrielle here: Joanne, thank you for this lovely blog post! I love how Pinterest has enriched our writing, and reading, experience. Joanne has graciously agreed to give away a free copy of her new release, My Hope is Found, to one of the blog readers who comments on this post between now and Tuesday, October 29th at 11:59 p.m. CST. Please leave your email address under your comment! Congratulations, Susan. I'll be contacting you soon! Married to her first sweetheart, Joanne Bischof lives in the mountains of Southern California where she keeps busy making messes with their home-schooled children. When she’s not weaving Appalachian romance, she’s blogging about faith, writing, and the adventures of country living that bring her stories to life. My Hope is Found is the third novel in her Cadence of Grace series. Over the course of six weeks I will be hosting six authors on my blog. Each author has agreed to offer a free copy of their newest release, as well as an item for a grand prize drawing at the end of the six weeks! To be entered to win a free copy of each book, all you need to do is visit my blog weekly (beginning September 25th) and comment on each author's post. A random winner will be chosen each week. To be entered to win the grand prize, visit my Rafflecopter below and follow the instructions. If you do each thing listed you'll earn 45 chances to win the grand prize! Don't forget to visit here each Wednesday to earn more chances! Today I'm thrilled to finally welcome my good friend Melissa Tagg to my blog! Melissa is here to tell us a little about her writing journey and the new release of her debut novel Made to Last. I can't wait for you to "meet" Melissa. She's a lovely lady and a wonderful writer who just happens to be an incredible friend, as well. Melissa's guest post is the fourth in a six week author spotlight series I'm doing here. Week one I hosted author Jody Hedlund, week two I hosted author Laura Frantz, and week three I hosted author Wendy Paine Miller. Check back here each Wednesday for a new author. At the bottom of this post I'll tell you how you can win a fun gift basket from these six authors! Melissa, I'm so excited that you're a guest on my blog today! I've been waiting a long time to have you here to talk about your debut novel, Made to Last! Sure…I started writing seriously in fall 2009 when I attended a My Book Therapy Storycrafting Retreat led by the fabulous Susan May Warren. Total game-changer in my writing life. 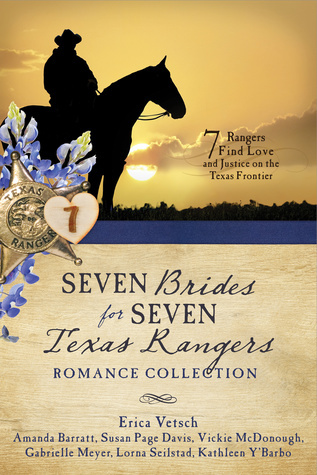 I started pursuing publication, then, in fall 2010 when I attended my first ACFW conference. Early 2012 is when doors really started opening. First an editor from Bethany House contacted me after following me on Twitter and reading my blog. She invited me to send in a proposal—I sent two. :) And eventually sent both books. Around the same time, I received a scholarship to attend the Blue Ridge Mountains Christian Writers Conference. There I connected with Chip MacGregor—and following that, had phone calls with both him and one of his agents, Amanda Luedeke. In June 2012, I signed with Amanda. Two weeks later, we found out one of my books was going to the pub board at BHP. Two weeks after that, BHP offered me a two-book contract. It's been so much fun watching the last couple years of your journey unfold. I was thrilled when I could finally hold Made to Last in my hands! What sparked your idea for Made to Last? Does the story look the same as you had first envisioned or has it changed a lot since then? As for what sparked it, it started with the movie Christmas in Connecticut. It’s a 1945 movie starring Barbara Stanwyck, who has built a fake life for herself…including a fake husband. I thought the storyline was super cute, so I borrowed the pretend marriage angle and ran with it. We both share a love for old movies, so I'm very familiar with Christmas in Connecticut, and Barbara Stanwyck! I was intrigued when I first heard the premise for your story and I waited a long time to finally read Made to Last! I have to say, it was even better than I had hoped! Each of the characters have distinct personalities and unique stories to tell. One character in particular has gained a lot of attention. 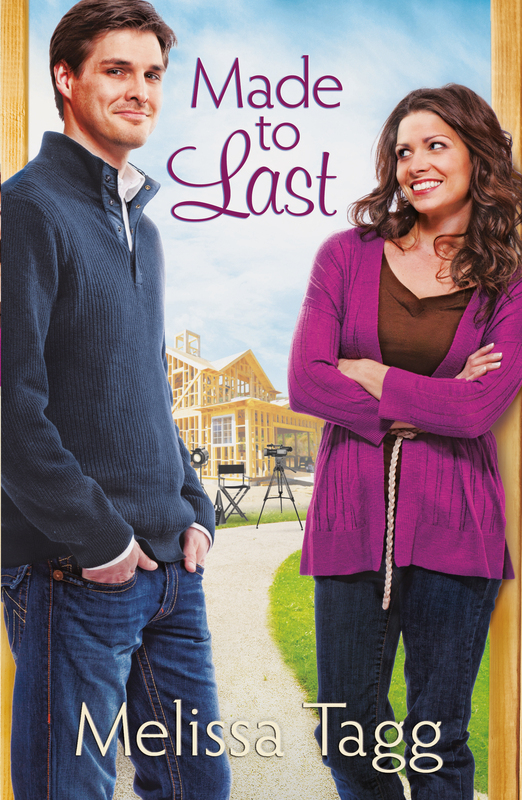 Blake "Blaze" Hunziker is Miranda Woodruff's fake husband in Made to Last, but he definitely left many of us swooning! Can you give us a little glimpse into Blake's story in Here to Stay, which releases in May? So, Blake is the funny guy in Made to Last. But I think (I hope) in MTL many readers will get the sense that there’s more to him than goofiness…that behind the hilarity is a vulnerability and a past he’s been trying to outrun. So in Here to Stay, we see him finally going home to face that past. Right away in the first chapter, you’ll get a glimpse of the weight he’s been carrying around and this desperate desire he has to settle down, live a normal life and make up for the past. Of course, while he’s there he runs into my heroine…a hometown girl who just wants to leave their little tourist town, travel the world, finally live her own adventure. I'm already counting down the days until I find out what happens to Blake!! With book two set to release next year, you can soon say you're a multi-published author! What has surprised you the most about reaching the "published" stage on your journey? Hmm, you know, I think it’s easy as an aspiring author to think once you hit the “published” stage, everything is perfect and you’ve arrived. But actually, the work gets more intense…and frankly, the emotions can get crazier if you let them. :) I’m enjoying this season SO much, but I have felt busier than I ever thought possible. So honestly, I think the most surprising thing has been that feeling of being stretched—mostly in a good way—spiritually, physically and mentally. I was just talking to my hubby about this very subject last night. I think so many of us get a false impression that once we sign a publishing contract (or reach other milestones) it will be smooth sailing. The truth is that no matter what we are pursuing in life, God will use each leg of the journey to teach us a new lesson and grow us in ways we never thought possible. Here's my last question, Melissa! Just for fun, if you could only eat one dessert for the rest of your life, what would it be and why? Haha, if I had to make this decision for real, after crying for awhile, I’d have to go with this frozen mocha dessert I make sometimes. It’s kinda the best dessert EVER—oreo crust and a filling made of cream cheese, chocolate syrup, sweetened condensed milk, whipped cream, instant coffee, basically everything that’s fattening and horrible and wonderful. I like a lot of desserts but that one beats out even the best restaurant desserts. I tend to offer to make it for family gatherings just because I want it…and because I love licking off the spatula after whipping up the filling. Thank you so much for being here today, Melissa. I'm praying for Made to Last, as well as Here to Stay, and all the other books you'll write in the future! Melissa has graciously agreed to give away a free copy of her new release, Made to Last, to one of the blog readers who comments on this post between now and Tuesday, October 22nd at 11:59 p.m. Please leave your email address under your comment! A QUESTION FOR MY BLOG READERS: If you could only eat one dessert for the rest of your life, what would it be and why? Congratulations, Wilani! I'll be contacting you soon. Melissa Tagg is a former newspaper reporter and total Iowa girl. In addition to her work as a grant writer and communications coordinator at Iowa’s largest homeless ministry, she also serves as the marketing/events coordinator for My Book Therapy. 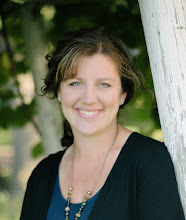 Melissa blogs regularly at Melissa Tagg and loves connecting with readers on Facebook , Twitter (@Melissa_Tagg), Youtube and Goodreads. I recently read Rebellious Heart, by Jody Hedlund. From the first scene in a New England Courthouse in 1763, I was completely captivated by the characters. I couldn't read fast enough. I truly felt like I was standing alongside Ben Ross and Susanna Smith as they walked through their passionate, though perilous, adventure. I loved watching Jody weave this tale. Many times I stopped and marveled at how she brought in certain elements to deepen the story, add character sympathy, and transform Ben and Susanna--not to mention other key players. Her storytelling caused me to dig deeper into my own current work-in-progress and look for ways I can strengthen it--which, to any writer, is the true test of a story. There wasn't a dull scene or unimportant conversation in Rebellious Heart. My eyes slid across the words without tripping and I don't even remember turning a page! I even used up my own precious writing time to keep reading. This is a fantastic story--definitely on my top ten list of all time. Jody is fast becoming one of my favorite, must-read authors. My only disappointment is that the rest of the day is stretching before me and I'm done with Susanna and Ben's story. Now I need to clean my house and think about what's for dinner. Have you read Rebellious Heart? Have you read any of Jody's other books? 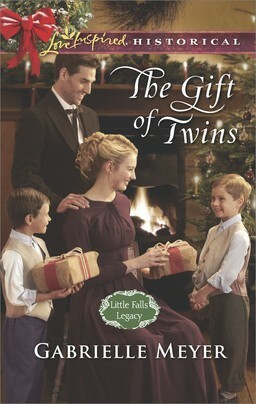 Today I'm welcoming author Wendy Paine Miller to my blog! Wendy's guest post is the third in a six week author spotlight series I'm doing here. Week one I hosted author Jody Hedlund and week two I hosted author Laura Frantz. Check back here each Wednesday for a new author. At the bottom of this post I'll tell you how you can win a fun gift basket from these six authors! Welcome to my blog, Wendy. I’m so excited to have you as a guest today! Since I found your blog, Thoughts that Move, I’ve been a big fan. I love how your blog posts challenge me to dig deeper and think about the things that really matter. Since I started following your blog, I’ve been anxious for the day I could read one of your stories. That’s why I’m thrilled to be talking about your debut release, The Disappearing Key! Sure, four score and seven years ago…okay, so it hasn’t been 87 years since I’ve been crafting stories, but sometimes it feels like it. I graduated with an English degree in writing concentration. Got married. Had babies. Then characters and novel concepts took over my brain. That was about six years ago. I’ve written nine novels in that time. Secured an agent somewhere in there. Then decided it was time to get my work out there. Which you did by releasing your debut novella, The Disappearing Key, just last week (congratulations!). Tell us about this book and the inspiration behind it. The Disappearing Key is a women’s fiction work told from three POVs exploring what happens when everything you hold closest to you suddenly goes missing. The inspiration grew from a seed that was planted the second I heard about the stillborn loss my college friend endured. A culmination of random other aspects intersected to form this unique work. Being a mom inspires me, so adding layered aspects regarding parenting in this work felt like a must. This story sounds so intriguing! I already purchased it and it's waiting for me on my Kindle. You chose to self-publish this novella. I’d love to hear why you chose to go in this direction. I’ve watched friends take this route and really, the timing just felt right. I’ve consistently received positive feedback on my work, encouraging me to keep at it. Also, an editor offered assistance at the ideal time. It does sound like this is the perfect time for you to publish this story. As a wife and mom, what has been your greatest struggle as you’ve pursued publication? And your greatest blessing? Make no mistake, as thrilled as I am to have my work out there, I’ve experience plenty of humbling moments when I’ve felt crushed or unsure of my vocation. It pains me when my kids and my husband see me like this—see me at my weakest moments. It also inspires me to remain a fighter. My greatest blessing is always the joy that comes from the craft. It really is a form of worship for me. I couldn't agree more. The verse I've chosen for my blog is Psalm 19:14: "May these words of my mouth and this meditation of my heart be pleasing in your sight, Lord, my rock and my redeemer." I believe one of the most powerful ways we can worship is when we're walking in the gift He's given us. For writers, it's the act of writing. Here's one last question, just for fun. If you could only watch one movie for the rest of your life, which would it be and why? Wendy, thank you so much for visiting with us today! My prayer is that your work will bless those who read it. 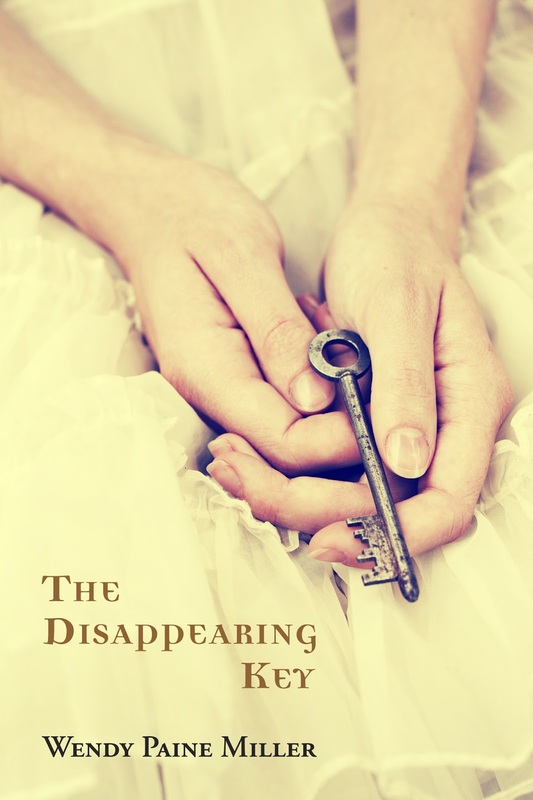 Wendy has graciously agreed to give away a free copy of her new release, The Disappearing Key, to one of the blog readers who comments on this post between now and Tuesday, October 15th at 11:59 p.m. Please leave your email address under your comment! A QUESTION FOR MY BLOG READERS: If you could only watch one movie for the rest of your life, which would it be and why? Debbie, I will be contacting you to get your mail address for Laura! Congratulations! Gabrielle Bivane never expected parenting a teenager would be this hard, but she never expected stillborn Oriana to live to see fourteen, either. The night of Oriana's birth, Gabrielle and her husband Roy fused their genetic and engineering geniuses to bring back all that was lost to them—at a cost. The secret must be kept. Oriana Bivane senses she’s not like the other girls her age, but the time has come for her to change all that. She’s tired of secrets, but does she confide in the wrong person? The life-giving key, suddenly missing, must be found. Wendy lives with her husband, their three girls, and a skunk-dodging Samoyed. She feels most alive when she’s laughing, speeding on a boat, reading, writing, refurbishing furniture or taking risks. She’s authored ten novels and is currently writing what she hopes will be your future book club pick. Her work has been published in numerous anthologies and online sites. Wendy graduated with a BA in English from Wittenberg University, where she earned an Honor of Distinction for her accrued knowledge of literature. She’s represented by Rachelle Gardner of Books & Such Literary Agency. 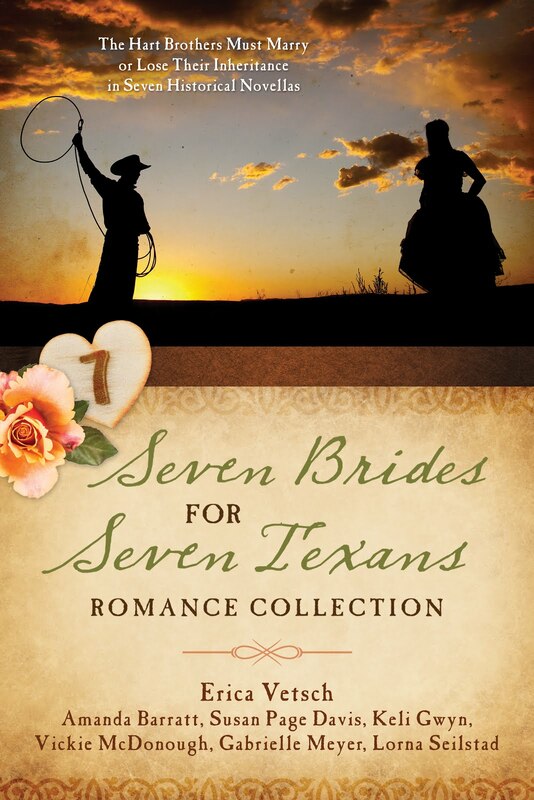 Today I'm welcoming author Laura Frantz to my blog! 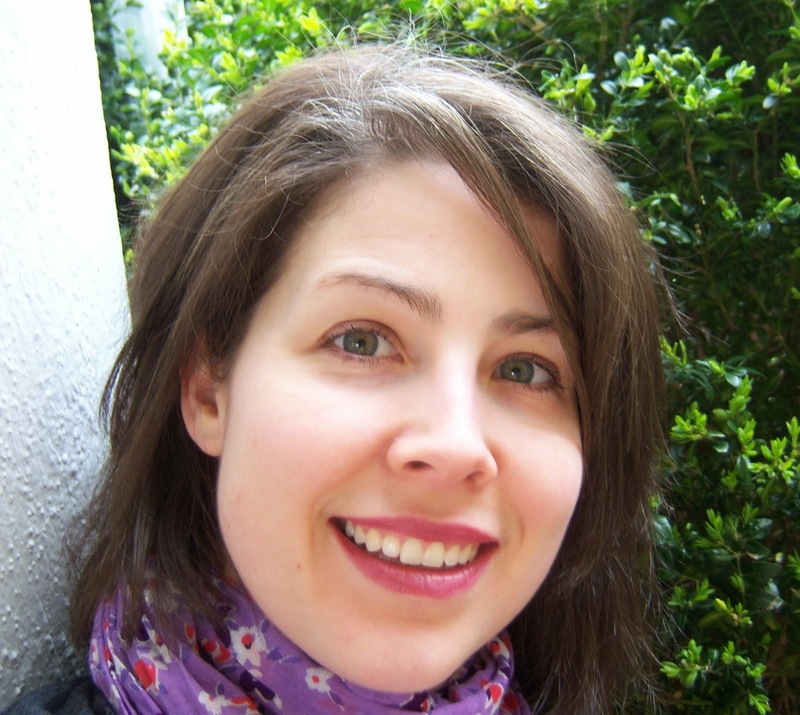 Laura's guest post is the second in a six week author spotlight series I'm doing here. Last week I hosted author Jody Hedlund. Check back here each Wednesday for a new author. At the bottom of this post I'll tell you how you can win a fun gift basket from these six authors! Gabrielle: For readers who might be "meeting" you here for the first time, can you give us a quick history lesson on your publication journey? Laura: I’m actually a great example of what NOT to do on your journey to publication! My pastor brother actually dared me to do something with my stories. Since I’d been scribbling them from age 7 he believed I needed to share them. But I had no agent, no online presence, had never been to a writers conference or any of those helpful, savvy things. I thought I would prove him wrong and be rejected. So I quietly submitted sample chapters to the Writer’s Edge and was stunned when I was picked up by my publisher, Revell/Baker about six months later. Instead of a one book contract like I expected, they wanted 3 books. Since I didn’t read much in the inspirational market (other than Francine Rivers) and my books are a bit out of the box, this was truly amazing. Still is. Gabrielle: But that's why I love your books! They are a bit out of the box and fill a need in the Christian Market. 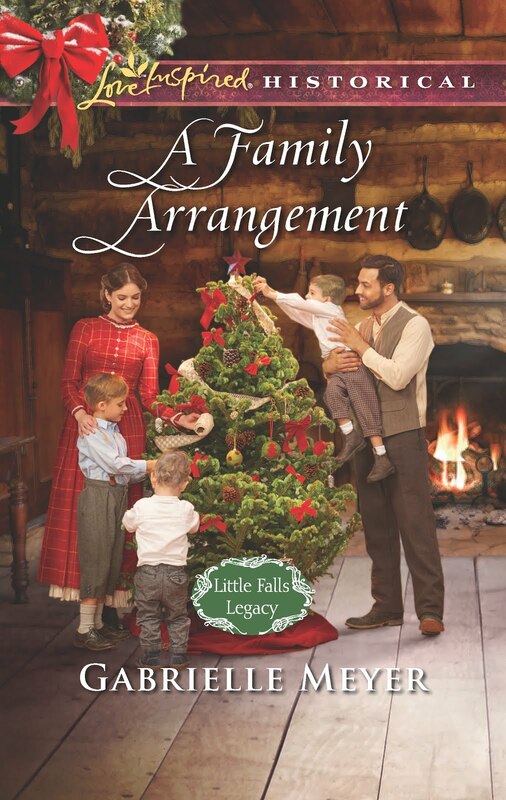 I'm especially excited about your current three-book series, The Ballantyne Legacy, following the lives of three generations in the Ballantyne family. We fell in love with Silas and Eden in the first novel, Love's Reckoning, and now we meet their daughter, Ellie, and her hero Jack in the second novel, Love's Awakening. Until now you've only written stand-alone novels. What inspired you to write three generations in three novels? Laura: My head editor asked me if I’d be interested in writing a generational family saga. My first reaction was panic but after praying about the possibility a small avalanche of ideas began to shake loose. I'd already tucked away this little seed of a novel about an apprentice marrying into the master’s family from research so just went with that. 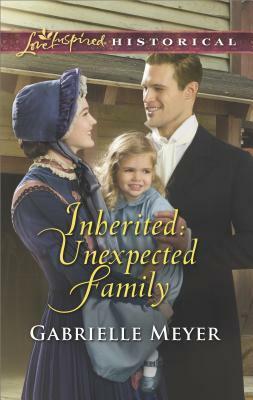 The Underground Railroad theme blindsided me while writing as that was not the way I intended for these Ballantyne books to go – but the Lord had other plans. His ideas are always better than mine! Gabrielle: I didn't see the Underground Railroad theme coming, either, but I loved that thread in Love's Awakening. It was a beautifully penned story. When I read your stories all else fades away and I become fully immersed in your story world. I feel every emotion on the page and I hold my breath to the very last sentence. 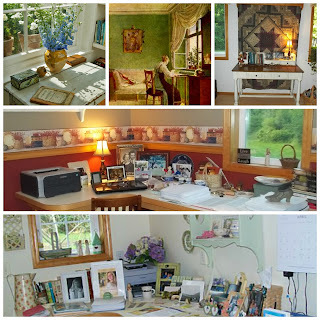 I've heard many authors talk about the importance of their writing space and how it affects their stories. For me, I can curl up almost anywhere and let my fingers fly across the keyboard--even with children on my lap, hanging off my shoulders, and sitting on my feet. I'd love to get a glimpse into your writing space and see what inspires you! What things do you like to have around you when you write? Do you listen to music, or do you prefer silence? Laura: So thankful my books come alive for you, Gabrielle. As for writing space, since I’m a former teacher and have my own children, I have learned to write anywhere at any time – on buses and in doctor’s offices, to Spongebob blaring in the background, outside on the porch, etc. As long as I have pen and paper with me it doesn’t matter where I am. I do love listening to music when I write and my Kentucky books were written to The Last of the Mohicans and Master and Commander Soundtracks. My ‘boom box’ broke last year and I haven’t replaced it. This reminds me it may be time . I find music very inspiring. And my preference is for a beautiful, peaceful spot to write. 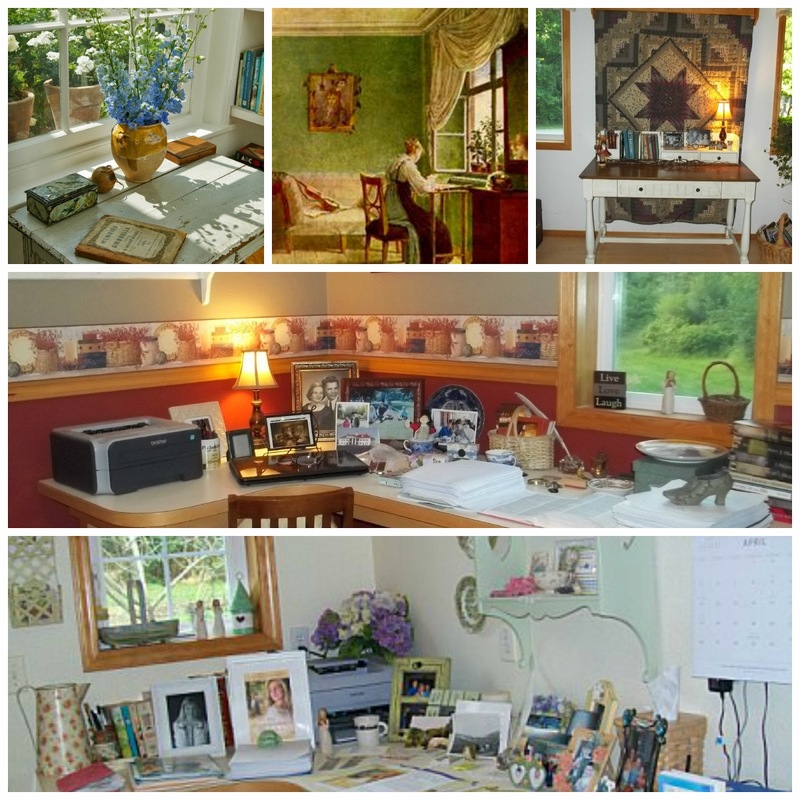 I’ve attached a collage of desk spaces I’ve had over the years and one I’d love to have! Gabrielle: The journey to publication can be a long road with many twists and turns. I'm not published, yet, but already my life looks much different than it did two years ago before I started on the journey. I'd love to know, how has life changed for you since you became a published author? Gabrielle: There are so many things I love about this answer. First, the writing is joy and the publishing is work--that deserves an amen! Second, the Beth Moore quotes are stunning. Following this calling to write (or any calling by God) can be an intense journey--but if we're not growing along the way, we're missing one of God's purposes in the calling. Now on a lighter note, summer is quickly fading into fall, bringing with it a wealth of new activities and events. I'd love to know: What is your favorite season of the year, and why? Laura: Since I’m a sun lover, thanks to being raised in the south, I want to say summer – but I love snow and those first daffodils popping out of the ground and a colorful autumn. I see the Lord in every season. So guess I can safely say each season is my favorite! Gabrielle: Laura, thank you so much for being here today! Laura has graciously agreed to give away a free copy of her new release, Love's Awakening, to one of the blog readers who comments on this post between now and Tuesday, October 7th at 11:59 p.m.
A QUESTION FOR MY BLOG READERS: What type of environment do you work best in (whatever work that might be)? Jill I will be contacting you to get your mail address for Jody! Congratulations! Award-winning historical novelist, Laura Frantz, was born into a family who followed the legendary frontiersman, Daniel Boone, to Kentucky during the turbulent 18th-century and still resides there today. Passionate about all things historical, she writes her manuscripts in longhand first. Her stories often incorporate Celtic themes. Her family lineage is Scottish and Irish. According to Publishers Weekly, "Frantz has done her historical homework." She is known for the depth of her characterization and research. The author is represented by Janet Kobobel Grant, Literary Agent & Founder, Books & Such Literary Agency of Santa Rosa, California.